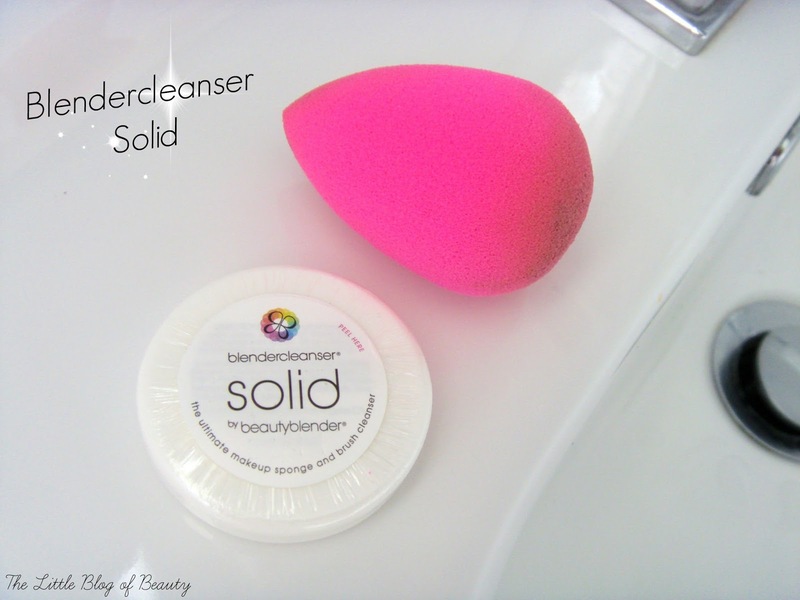 After my last post on The Original Beautyblender I was asked if I would post a review of the Blendercleanser Solid after I'd had a chance to use it. I haven't posted for over a week now (which was an unintentional short break, I've just been busy!) so I thought I'd follow up my last post with a review of the Blendercleanser (I still love that name!). Apologies a couple of my photos aren't great, I had to take them on timer so I could have both hands free and they've come out slightly blurred. Also please avert your eyes from my water stained tap, I really should cleaned it first shouldn't I! Blendercleanser Solid is just like any other standard soap and is super easy to use, well that is until you drop it in the sink and the whole thing gets wet and then it becomes difficult to hold, but more on that later. 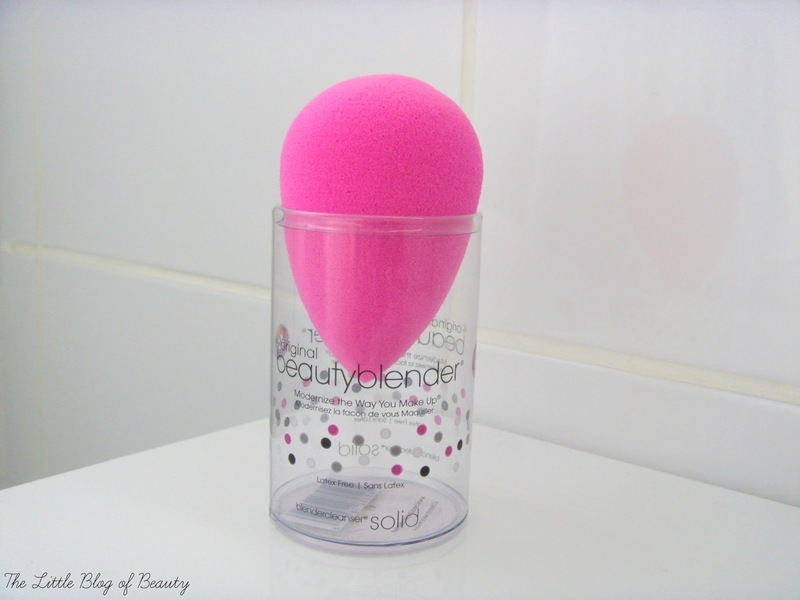 To use the Blendercleanser you just wet your Beautyblender, swirl it round on the top of the soap and then rinse until all of the soap is washed away. Admittedly I've only actually used my Beautyblender a couple of times, so there wasn't an awful lot of foundation (or in this case BB cream) on there, but it was really quick and came up sparkly clean. You can also use this for makeup brushes, I used it to clean my Real Techniques Stippling brush. You do this in exactly the same way, just wet the brush, swirl it on the soap and then rinse. Again my Stippling brush didn't have that much on it as I've only used it a couple of times since I last washed it but it also came up clean really quickly. There are pluses and minuses to this product. 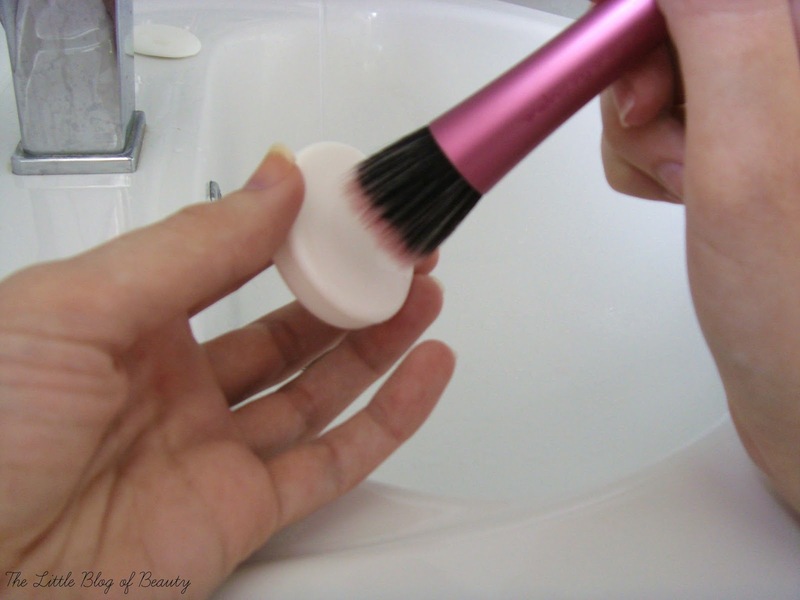 It is quick and easy to use, you don't have to use your hand to 'scrub' the Beautyblender or brush as you do it on the soap and it should last well as you don't use much each time. However as I did mention briefly earlier if you accidentally get the whole thing wet instead of just the top it obviously gets very slippy and almost impossible to hold. It would be better if it came in some kind of little plastic tray that it sits in so you can hold it more easily. This would also be better for drying it afterwards. I left it on my sink to dry and thought it would end up sticking to the sink because the bottom would stay damp and get sticky but actually it did dry all round and didn't stick. Now it's dry though I'm not sure where I'm going to store it, it really does need some kind of little pot for it to live in. I don't know about you but I'm very funny about where I store a makeup sponge once it's damp, I'm really not happy to drop it in a makeup bag or even just leave it sitting on a surface. What I've done is I've kept the cute little pot it came in and when it's damp I just pop it back in the pot but because it's swelled up it balances in the opening of the pot so has minimal contact with any surfaces. Once it's dried and shrunk back down it drops into the pot and then I just pop the lid back on to protect it from dust until the next time I want to use it. How do you prefer to clean your makeup tools? Great post...I can see your point that the soap would get very slippery if you got it all wet which would make cleaning anything pretty hard. A plastic tray definitely sounds like a good idea for it. I recently watched one of Pixiwoos youtube videos about cleaning brushes and have since adopted cleaning them by swirling them in a cleanser solution then wishing them around on a flannel cleans them really well. I am just thinking they could do with a clean now actually!!! I used a sponge before but I guess it wasn't for me. I always felt like the sponge soaked up all the makeup, but that's only me. I'm always a bit put off by sponges as they always seem like they'll be filthy after one use and hard to keep clean!